Plus, earn $200 in dockage when they come aboard! Know a marina or yacht club that should be on Dockwa? Over 700 marinas use Dockwa already, but we want to make sure that we're adding your favorite go-to destinations. What other marinas should be on board? Let us know and grow the community. Fill out the Suggest a Marina form on this page or email katharine.kirk@dockwa.com to let us know what other marinas should be on board. We'll send you a message with directions on how to connect us with the marina manager at that location. 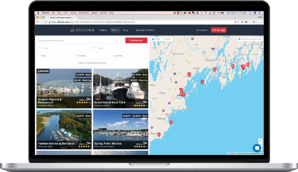 Once the marina is live on Dockwa, we'll gift you $200 to spend on Dockwa dockage!